2007 | Book. Hardcover, 11 x 20.5 cm, 68 pages. 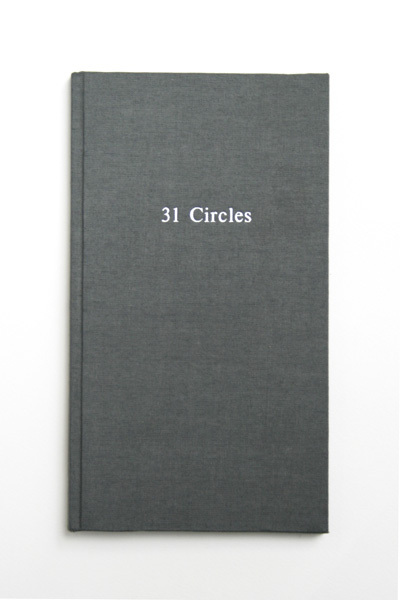 Thoughts kept turning in my head and I didn’t seem to be going anywhere… ‘31 Circles’ follows one of my daily routines where the setting barely changes and an unstructured, stream of thoughts run through from beginning to end.